too much, pretty faces. Where’s the personality?” Japanese society, like any society, has it’s own strict code on appearance and behaviour. If you don’t behave or act in a certain way you could be subject to immediate ridicule or damaging disapproval. CHAI is a Japanese word for dismantle/demolish and the Nagoya-formed psychedelic kawaii-garage-rock quartet who bare the name CHAI aim to tear down those barriers and redefine what it means to be cute girls. Made up of twin sisters Mana and Kana on keyboards/vocals and their friends funky bassist Yuuki and drummer Yuna, CHAI mix the stereotypical with the unpredictable in entertaining fashion. On one way the quartet do meet the “kawaii” definition. High pitched vocals, lots of girly colours (their debut record is called Pink) and the J-Pop aesthetic of wearing matching outfits, but they’re not an idol group (they all play their own instruments) and like compatriots Baby Metal, fusing the expected cuteness with an unexpected heavy edge can make a band very interesting and give them a stand-out identity. Look closer at what seems to be a completely pink record cover for example and you’ll see a acne-laden punk character picking her nose – definitely not reigi behaviour (Japanese for “manners”). The illustration not only sums up CHAI’s lack of obedience towards society’s rules in etiquette and appearance but also their eccentric sense of humour and energetic urge for punky mischief. This is initially noticeable when Mana and Kana’s occasionally switch from adorable vocals to moments of intense and impulsive punk bellowing, megaphonic filters and crowd-encouraging rhythmic phrasing (hear the CSS cowbell-filled’ Hi Hi Baby’). While their lyrical playfulness is heard in the beachy funk-rock ‘Horechatta’ and ‘Fried’. The former features lyrics such as “If I dream of it, what will I do?” and “Filled up with all this niceness. Fell in love.” and then it’s apparent they are actually expressing their passion for Gyoza dumplings. Furthermore, the electronic rave track Fried is also about food. It shows their affection for anything, as you might have guessed, that is fried: “So conflicting, beef or fish? Watering, watering, watering…yes.” Some are their lyrics are very silly and the do back up their claims that they place more emphasis on the music than the lyrics, but it’s charming for it’s free-spiritedness at the same time. However, the most significant tracks lyrically are ‘N.E.O’, ‘Boyz Seco Men’ and ‘She Is Kitty’ because they send good role model messages to young women to embrace body flaws; “small eyes, flat nose, no shape, flat legs! Still nice body”, be weary of disrespectful men; “if he is stingy, unfair or cheap. Don’t go for it.” and send a message to avoid following the crowd on the Hello Kitty cultural commentary ‘She Is Kitty’. 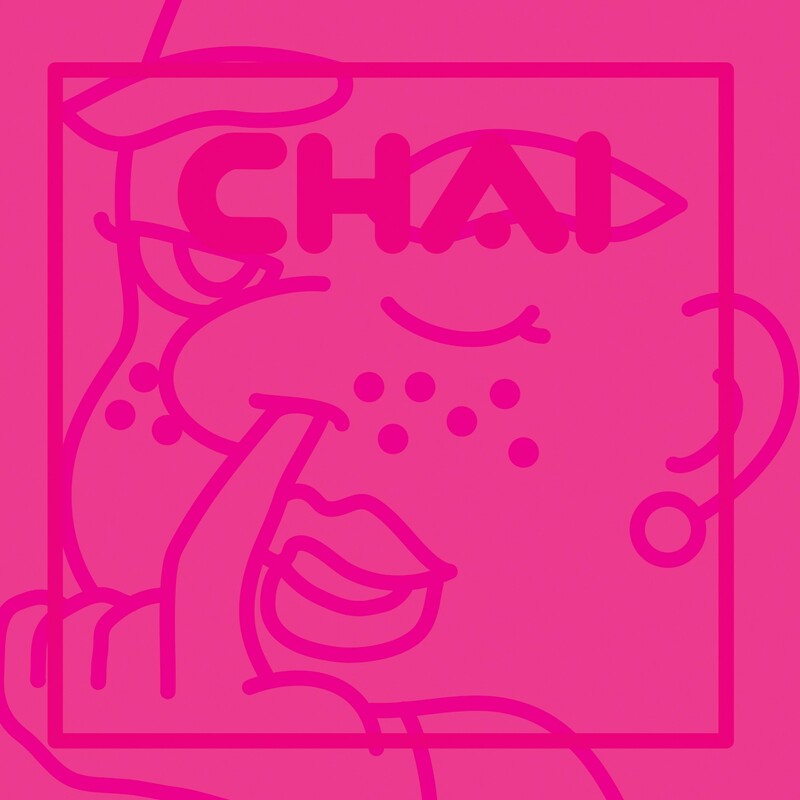 With the tracks being a mix of English and Japanese lyrics, diverse rock hooks that borrow styles from The Ramones to Hinds and an irresistible charm and identity that solely theirs, CHAI’s debut Pink might be short introduction but it’s one that leaves a memorable first impression in it’s socially-aware lyrics and irresistible rhythms.